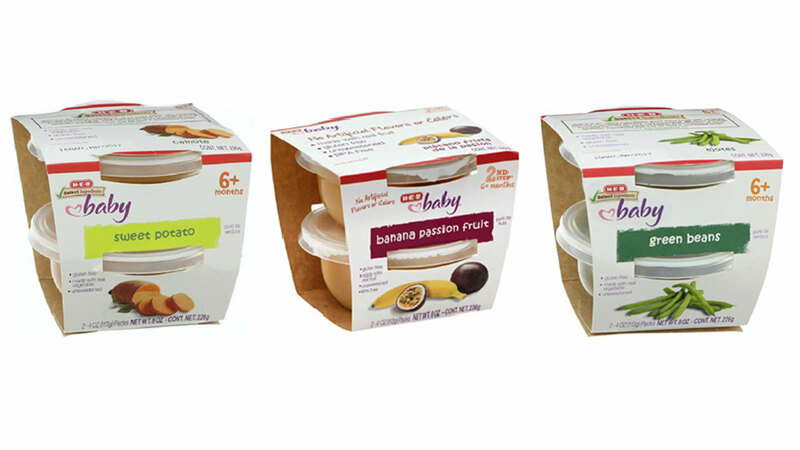 SAN ANTONIO, TX (KTRK) -- HEB has issued a precautionary recall of baby food after a small piece of rubber was found in one package. Customers can return products included in the recall to any HEB for a full refund. The company has only received one report of rubber in the packaging, but all products have been removed from HEB shelves out of a abundance of caution. There have been no injuries or illnesses associated with the incident, which the store calls "isolated." Consumers with questions or concerns can call the company's customer service line at 1-855-432-4438 on Friday, Nov. 18 until 11pm, Saturday, Nov. 19 and Sunday, Nov. 20 from 9am to 7pm and Monday through Friday, 8am to 8pm thereafter.